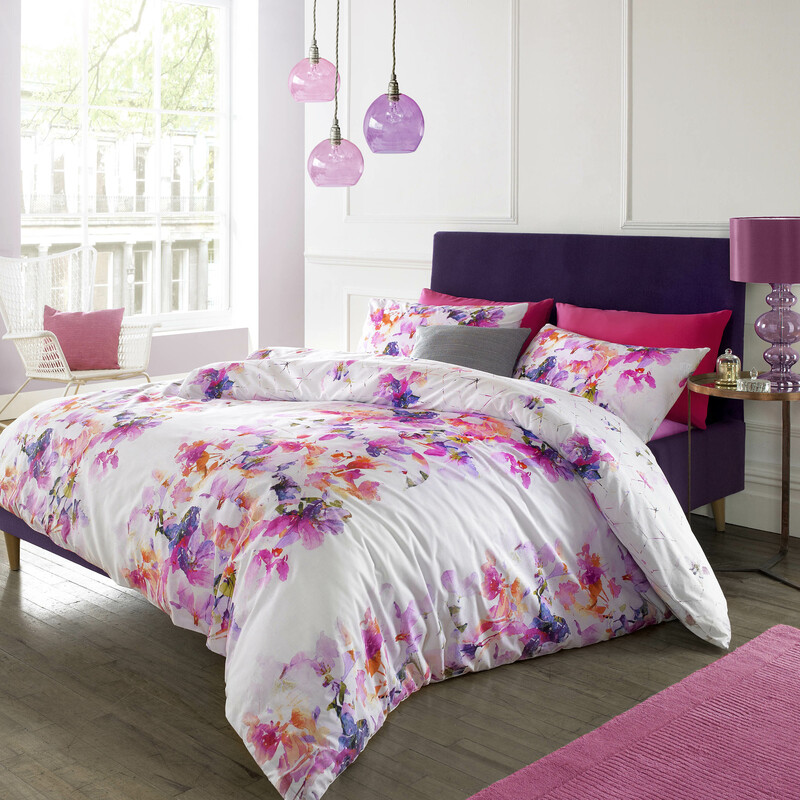 Nola Duvet Set by Blueprint is perfect for adding a sophisticated splash of colour as it features a painterly floral print in deep pink and purple hues with bursts of lime green. The crisp white base is the ideal complement for this watercolour design. It also comes with a quirky geometric reverse and includes housewife pillow cases. It’s 52% polyester and 48% cotton. Costs as follows:- Single €40.50, Double €54.00 and King €60.75. (note one pillow case in the single set and two in the double and king duvet sets).